The Bravia W4000 LCD series incorporates Picture Frame Mode, which Sony says "enhances the look of a living space even when it’s not being used" by displaying images from a USB memory stick on-screen. So, you’ll be able to show holiday snaps on the TV or just continuously cycle through the pre-installed Van Gogh pictures. Picture Frame Mode means the TV consumes less energy than when displaying regular TV content though. Sony claims the mode uses around 35 per cent less power than TV viewing mode. Users can choose between a 32in, 40in, 46in and 52in W4000 set. Each size TV has a 1080p resolution and displays video content at 24 frames per second, meaning the playback speed of films will be equal to the speed at which they were recorded. Hopefully this should make for a more realistic viewing experience. 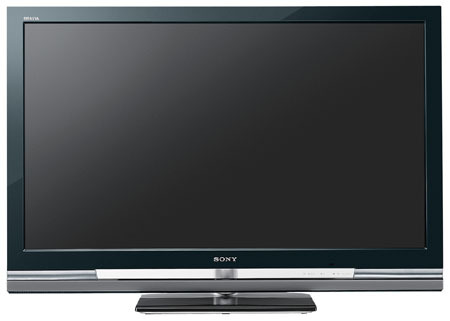 Each size telly has a 178° viewing angle and features Sony’s Xross Media Bar (XMB) menu system, which is also used by the PlayStation 3. Sony’s also equipped the W4000 series with three HDMI input ports and two scart connections. A release date for the Bravia W4000 series hasn’t been announced yet.